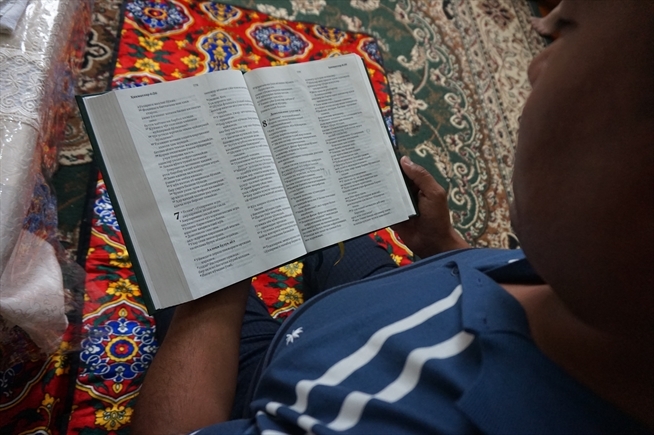 Uzbekistan continues to exert control over ownership of Bibles and other religious literature, according to regional news agency Forum 18. In November, police raided the flat of Irina Stepanova in the eastern city of Andijon, claiming to search for a gun. Finding none, they confiscated Bibles, a songbook, Christian magazines, CDs and personal notebooks. Despite being a member of a state-registered church, which provides some freedom of religious expression, Stepanova has been charged under Administrative Code Article 184-2, which penalises storage and distribution of religious materials, Forum 18 said. The police have refused to comment on the case, which could result in a heavy fine for Stepanova. Also in November, police raided the home of Baptist Stanislav Kim in Urgench, on the other side of the country, and filmed adults and children as they participated in a Christian service, sources told Forum 18. After confiscating Bibles and Christian booklets, nine of the ten adults present, including Kim, were arrested and later interrogated at Urgench police station. Kim has been serving a two-year sentence of corrective labour for possession of religious books. His sentence, which he is serving out at home, includes losing 20 per cent of his salary. During his visit to Uzbekistan in October, Ahmed Shaheed, the UN Special Rapporteur on Freedom of Religion or Belief, said religious freedom “cannot be sacrificed in preventing or countering violent extremism”. In his 2016 report, ‘Central Asia – the state and Islam: what it means for Christians’, Mark McNamee suggested that Uzbekistan responds to the threat from Islamic extremist groups by having an “exceptionally repressive stance” towards religious expression.